Ever since Tory Brennan and her friends rescued Cooper, a kidnapped wolf pup with a rare strain of canine parvovirus, they’ve turned from regular kids into a crime-solving pack. But now the very place that brought them together – the Loggerhead Island Research Institute – is out of funding and will have to shut down. That is, unless the Virals can figure out a way to save it. So when Tory learns of an old Charleston legend about a famous she-pirate, Anne Bonney, whose fortune was never found, she can’t believe her luck – buried treasure is exactly what she needs to save the Institute on Loggerhead! Trouble is, she and her friends aren’t the only ones looking for it. And this time, the Virals’ special powers may not be enough to dig them out of trouble . . .
After reading Virals, it just seemed as if this wasn’t needed. 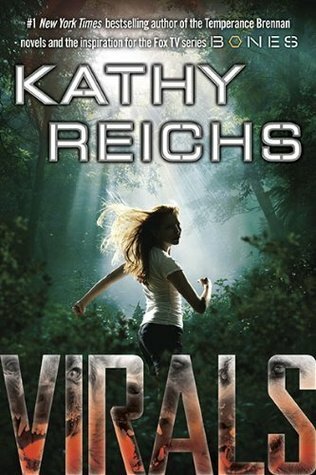 I mean, yeah, this is a great book and so was Virals, but I was happy about how Virals ended, and I was so so so so so so worried that this book was going to be a let down (which it was, and wasn’t, LIKE CORNFLOUR. which, as a side note, is AWESOME! 😉 ). It just didn’t link very well to the first book in the series… apart from the you know, Wolf-stuff. WHEN IS A PIRATE’S TREASURE HUNT EVER GOING TO HAPPEN??? I JUST FOUND THE TREASURE! I never got those things. A group of bitchy girls who would trash the main character. I’ve moved school plenty of times, and in each of them, yeah there were some bitchy girls and guys, but none were like “the Tripod” who publicly humiliate people who they don’t like or anything. It just seems like the way adults picture people who are that age… WELL IT’S NOT TRUE. Hm………….. This is turning really negative… It wasn’t supposed to go this way… Lets go straight to Pros now before you judge the book too harshly!!! It was like Maximum ride humour. As in the sarcasm and stuff. It’s funny. And better than maximum ride, because this book doesn’t have people resurrecting all the time, like Ari, instead, when people die, they die. I’m not talking about the ending, I’m talking about how there were cliff-hangers all the time, so this was the fastest book I’ve read in a long time. It was extremely fast paced, and in general, AWESOME! The fights scenes are awesome! For everyone! As in, if you hate blood and guts, you can still read it! There’s isn’t anything really that’s icky… It’s all guns, and wolf eyes. That may have also pushed the line. And this may come as a surprise, because of all the ranting, but 4 shuriken stars! WOW. JUST WOW. THIS BOOK IS AMAZING. I AM LITERALLY SPEECHLESS…. I haven’t read a book this good in a long long time… (by a long time I mean a couple days! :D). Seriously, though this book is AMAZING! IT IS A MUST READ FOR EVERYBODY WHO WILL LISTEN!!! 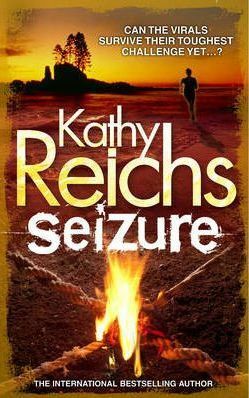 :D. It’s an AWESOME fast paced, thrilling book and I loved it!!! hm… what to say without giving away most of the plot… hm… I’ll try to keep it spoiler free, but it may be hard.. (I’ll try to warn you!). The story follows this girl called Tory Brennan who loves bones and fossils (well.. maybe loves isn’t the best word… fascinated maybe?) and she also loves dogs and wolves and wolfdogs!!! Don’t worry I’m not going crazy…yet… its all part of the story! She finds her friend Cooper, who is a WOLFDOG!!! who is ill ;( and they rescue him from the EVIL MAN who was experimenting on him… ;(. But soon after they rescue Coop, something else happens! (but I really don’t want to say… because I don’t want to spoil that moment of the book for you!- when I read that part I was like OMG THAT CAN’T BE TRUE!!!). Tory and her group of friends eventually find out that those two events are linked, along with another event… (I also won’t say! :D)!!!!!!!!!!!!!!!!!!! To be honest, the plot wasn’t that good, but it was still really enjoyable! When I was reading this the plot was just AMAZING!! !, but only after I had finished it did I realise that it was actually quite basic and wasn’t that unique… Its her writing style that makes this book amazing! How it all fitted together!- like a puzzle!!! I love puzzles! Overall this is a amazing book! I would definitely recommend it to anybody who would listen! 5 SHUIRKEN STARS EASILY!!! The writing style was good and the twists were unexpected and sad and what else could you actually want from a book??? Please, I’m being polite at the moment, go out and do yourself a favour and read this book and if I still haven’t got across, to you, the message, GO AND READ THIS BOOK NOW!!!! THERE IS NOTHING ON THIS EARTH QUITE LIKE IT. IT HAS LEFT ME STUNNED AND SPEECHLESS. DEFINITELY ONE OF THE BEST BOOKS I HAVE EVER READ, OR EVER WILL READ. I found this book in the bookshop one day and I thought it looked interesting. As you can tell from the stuff above, I enjoyed it. A lot. This book is by the awesome author, Patrick Ness. 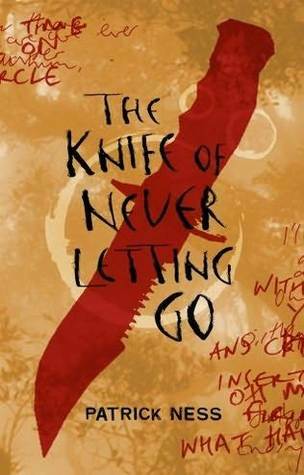 It is also the first book in the Chaos Walking Trilogy, of which the second and third have also been reviewed, as well as the companion novella. This book, to quote from the Sunday Telegraph was “Furiously paced, terrifying, exhilarating and heartbreaking”. I agree with that, whole-heartedly. I am so tempted just write that for the summary, however, because I am a nice person, I will tell you some other aspects, so you can be sure that you will love this series. This book is set in the future, when global warming has killed the earth (I think…), so people fly out to another planet and start their lives there. However, there is this illness called the “Noise germ” which projects all of your thoughts, so everybody can hear them. This book is narrated by a boy called Todd, who is the son of one of the settlers. He lives in a town called Prentisstown, which is town with only men in it. The book is basically about Todd who is on the run, because the town has been lying to him about some pretty big stuff. He runs away with his dog and “the hole in the noise” from the Prentisstown army and this CRAZY, LUNATIC PSYCHOPATHIC GUY CALLED AARON. I REFUSE TO BELIEVE THERE ARE ANY CONS. The characters are amazing. Everything in this book is amazing. I don’t know how you could describe them. Todd and Viola just have this connection between them, I don’t know how to explain it. If I ever go to a weird planet where everything talks in its mind then I want to be like them. We see their characters develop throughout the book and there are some scenes with just the two of them that are incredibly heart-wrenching and sweet, though not overly romantic (seriously, I don’t do romantic books). (This is Weishi trying to explain how she thinks the characters develop, but Yanni can just delete this if she wants to. Weishi apologises for bursting in on Yanni’s review without permission. Weishi is the other person who writes on this blog, if you don’t already know. She says “hi”, gives you a free hug, and wishes to stop talking in third person.) Todd has an innocence and naivety about him that slowly get eroded away by the hard situations that he has to deal with. He becomes colder, angrier and more desperate, until his only beacon of hope becomes Viola. Viola starts out as nervous and afraid, but brave. Her struggles result to her becoming more jaded and determined, but also more open towards the people she trusts. He is, undoubtedly, my favourite character in this book, perhaps in any book ever. He is so awesome and loyal that I think he deserves his own little paragraph (there is no greater honour!). Patrick Ness writes him in a way that almost seems real – as in if I had a dog I could actually imagine it running around yelling in its mind “POO”. I LOVED THE PLOT. IT WAS SO FAST PACED AND JUST AMAZING! I won’t say any more in case I accidentally spoil something! The beginning got me hooked straight away: “The first thing you find out when yer dog learns to talk is that dogs don’t got nothing much to say.”. So many questions were racing through my head: “How the hell can a dog talk?”, “Who are these people?” and “Why does the narrator talk funny?”. But rest assured all of these questions have now been answered, and now I’m in a state of peace! 😀 Actually,no, that’s not true because of the ENDING of this book. An amazing cliffhanger. “You starting to feel hope yet?” Viola asks, her voice curious. I URGE ALL OF YOU WHO HAVEN’T READ THIS TO READ IT. YOUR LIFE WILL NOT BE COMPLETE WITHOUT IT. This book is my favourite book out of all the books that I have ever read. I can’t imagine one being better, and I have quite a big imagination. Although I enjoyed this book, I can understand that not everybody will like it. Some people may be bothered by the grammar, or the writing style, but personally, I think that it is amazing. Without a doubt, 5 shuriken stars!